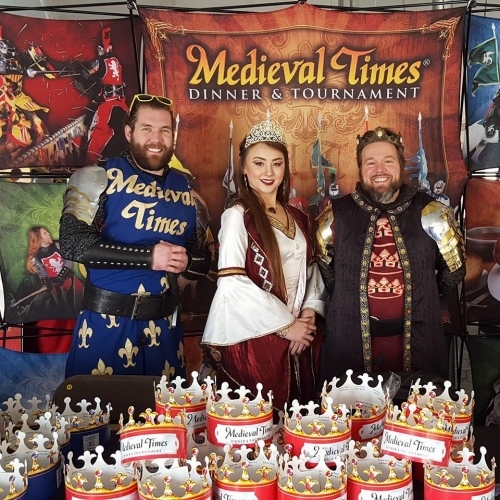 Medieval Times Dinner & Tournament features the Tournament of Games and you are invited to be an active participant, dine among a cheering crowd and support your knight as battle wages for the kingdom’s honor. The dangerous medieval games include sword fighting on horseback. There’s a love story and medieval pageantry and the jousting match will have you on the edge of your seat. Medieval Times will take you back to an 11th century castle where you’ll be treated like royalty with a four-course feast. Shows are several times each evening from March to December. Call for show schedule and ticket information.